The beautiful Sirata Beach Resort on St. Petersburg Beach will be our host hotel for all our Fort De Soto races. 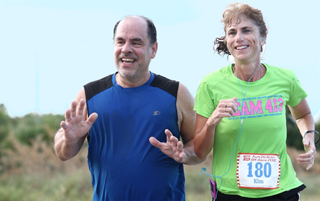 To make a reservation, please all the Group Reservations Department DIRECTLY at: 1-800-344-5999 and identify yourself as part of the Florida Road Races – 2017 Fort De Soto Space Available Rate group. Rates are as follows, with a two-night minimum stay required. Studios: +$20.00; One Bedroom Suites: starting at +$30.00 – both based on availability. Rates quoted are subject to state and local taxes, currently 13%. Our guest check in time is after 4:00 PM and check out is prior to 11:00 AM. Complimentary luggage storage is available for those guests who arrive early or must remain past checkout time. Nightly Resort Fee of $29.00 per guestroom, per night, prior to taxes has been REDUCED to $5 per guestroom, per night. Resort Fee package to include overnight parking amongst other hotel amenities. Please note that due to limited parking; only one vehicle per guest room will be permitted to park overnight.